Little rabbit has spotted a poster on the edge of the warren. 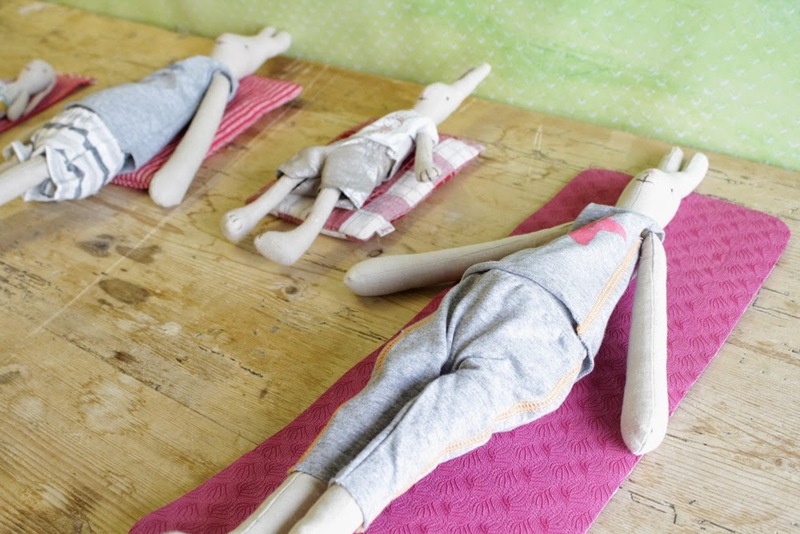 Hmm, a new yoga class. "Stretch your body and ears", "Relaxation techniques for prey animals". This sounds good she thinks, and books herself a place on the class. 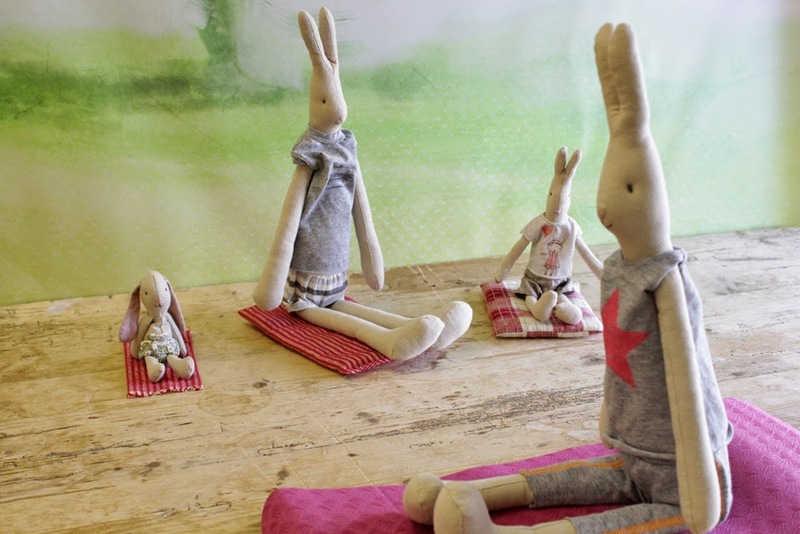 On the day of the class the bunnies begin to assemble. 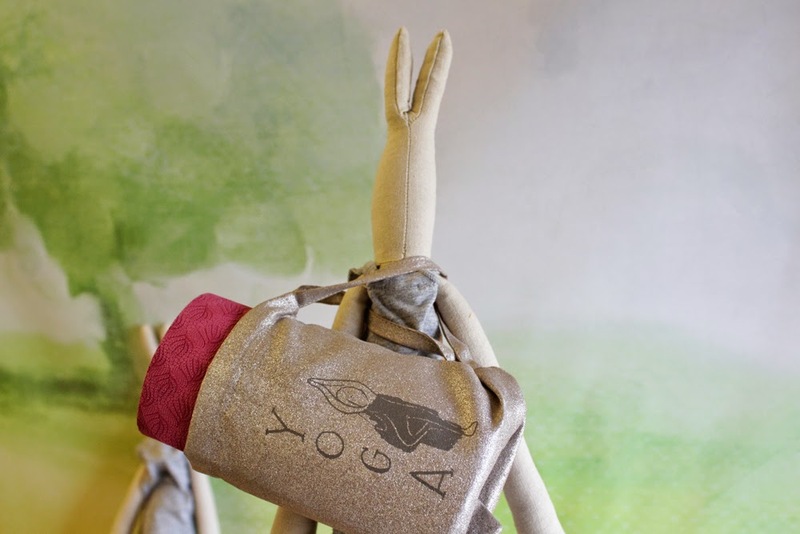 Everyone brings a mat and some bunnies even have special yoga clothes. 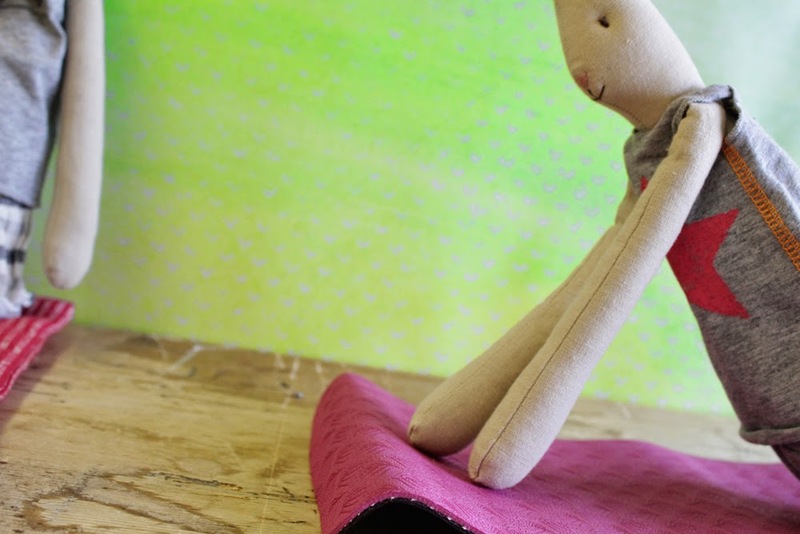 Little Rabbit arrives with her new yoga mat and says hello to the other yogi bunnies. 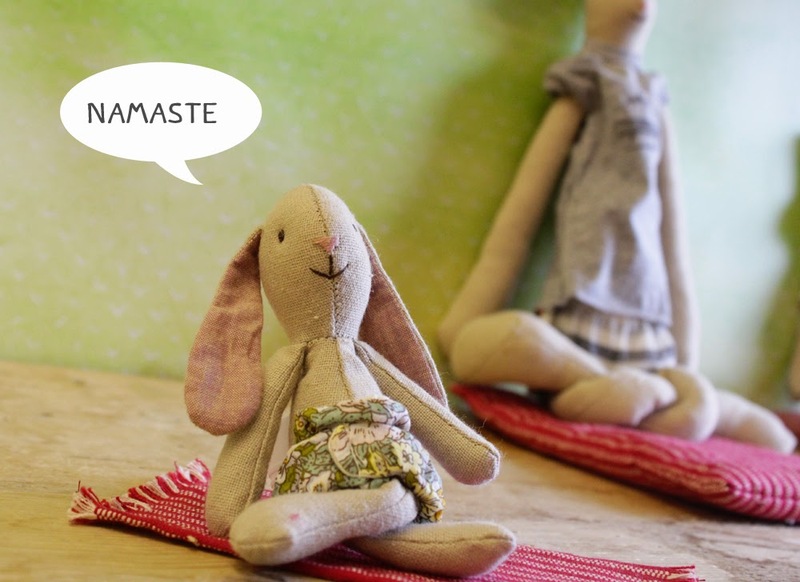 Before the class begins, the teacher bunny explains that the key to a successful yoga practice is in the breathing. She encourages the bunnies to breathe slowly and gently through their noses - and to keep nose twitching to a minimum throughout the practice. 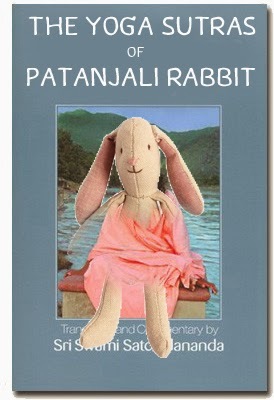 She also assures the bunnies that they will not be practicing Cat Posture, as this has been known to send all but the most experienced yogi bunnies into a bit of a panic. 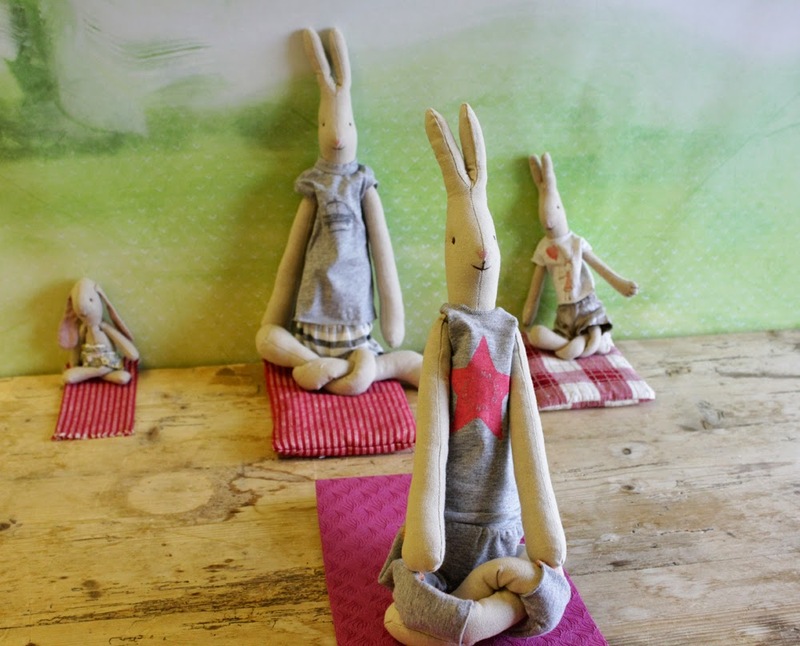 Next the bunnies come into Dandasana, or staff pose. 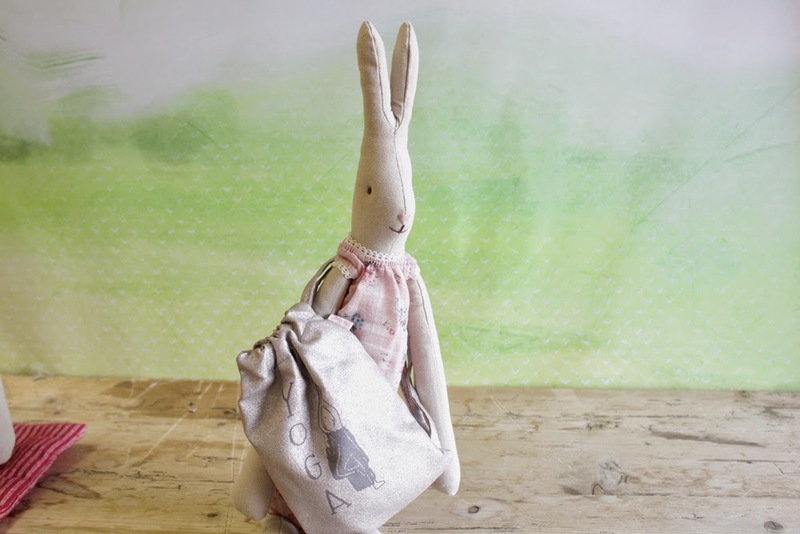 "Point your toes and ears to the sky, bunnies!" And then into Paschimottanasana or forward fold. 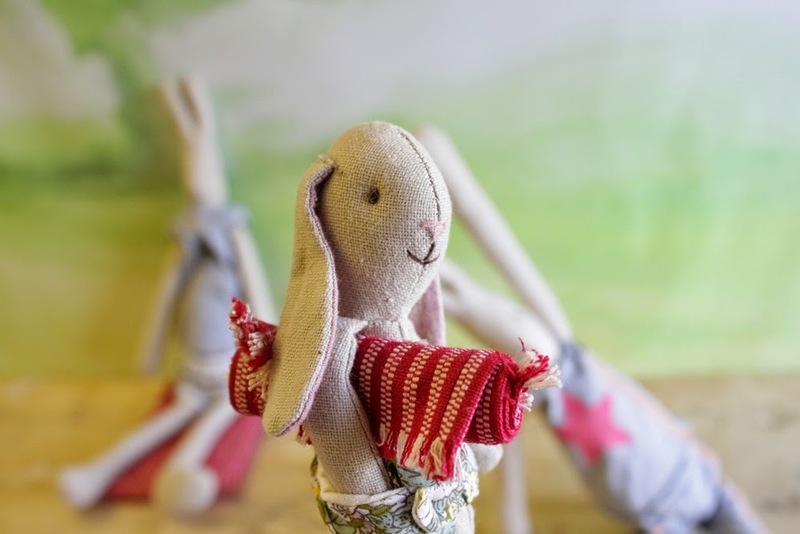 The bunnies practice feeling their breath move up and down their spine. 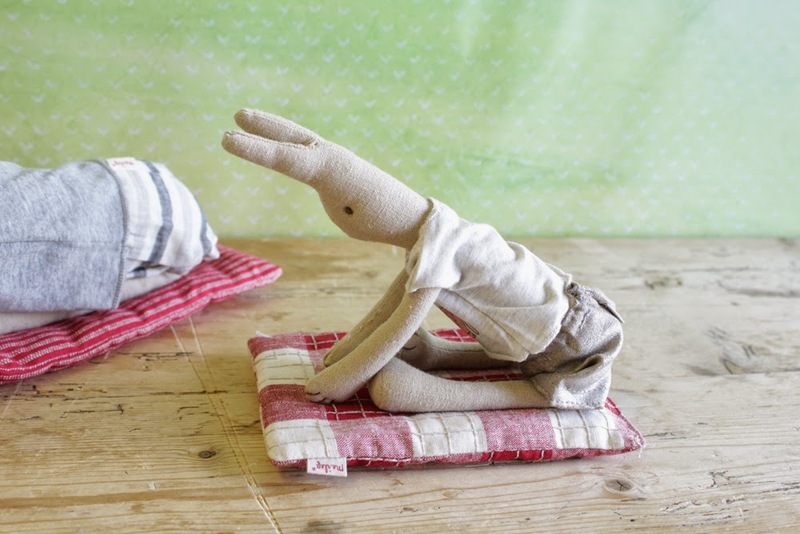 And finally a lovely back bend - Camel Pose is ideal for bunnies who spend their days hunched over their hay and carrots. 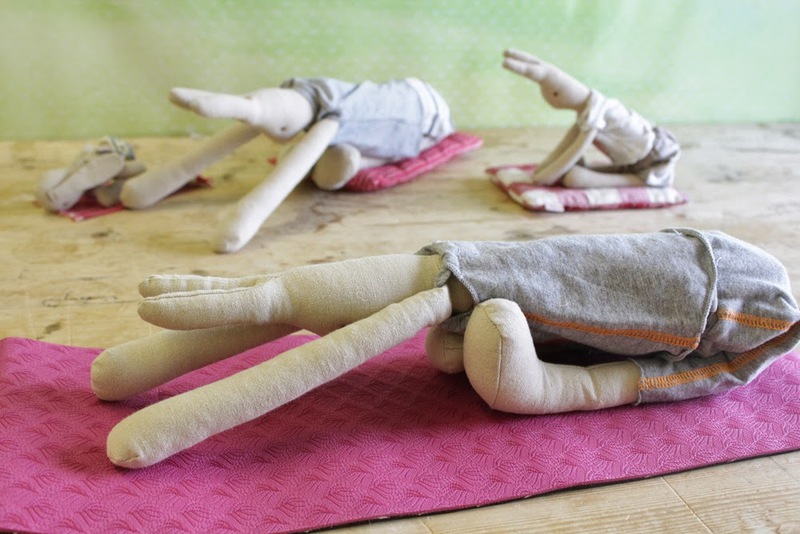 "Draw up your pelvic floor and engage your abdominal muscles, bunnies!" 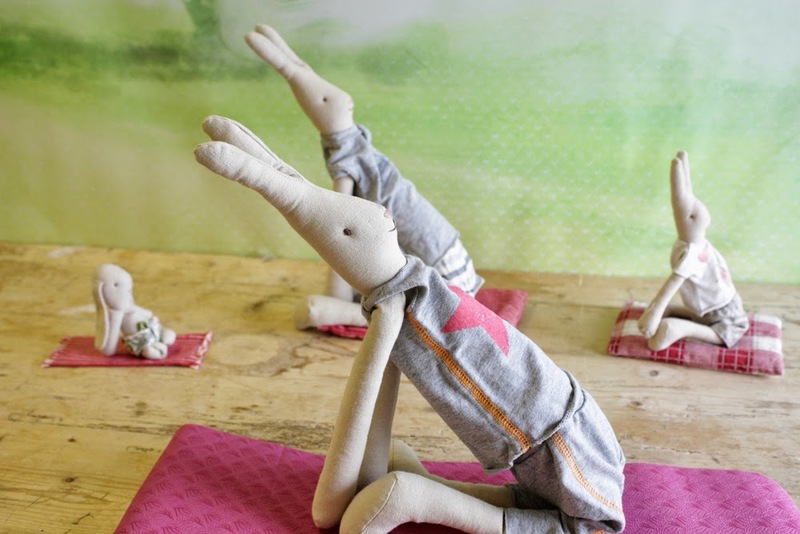 With the more strenuous part of the class over, the bunnies stretch out into into Savasana for a guided relaxation. "Imagine your ears are melting into the floor...."
And finally the teacher settles them into a comfortable seated position before leading a a few rounds of Nadi Shodhana, or Alternate Ear Breathing - to balance their energies. 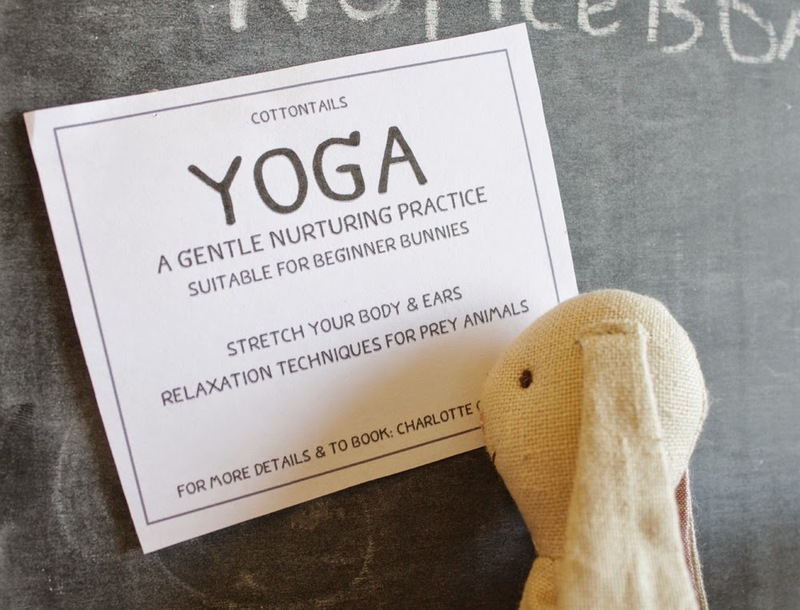 "Visualise the energy in your right ear...."
At the very end of the class the teacher bunny asks if there are any questions and recommends a classic yoga text for any rabbits wanting to deepen their understanding of this ancient practice. 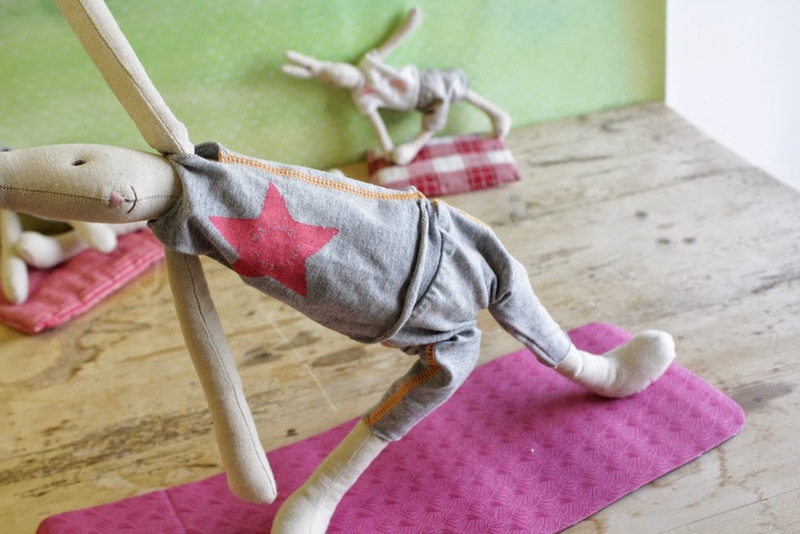 Little Rabbit enjoyed her first yoga class very much. She has made some new friends, is lovely and stretched, and feels more peaceful and relaxed than she has in a long time. She will be back next week for more! 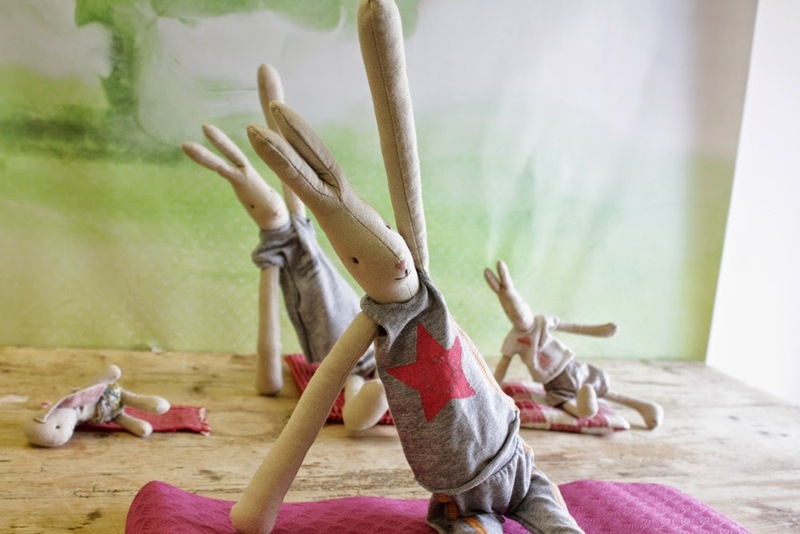 Should you wish to set up your own rabbit yoga class, all yogi bunnies, plus yoga mats and clothes are available on the website here: Maileg yoga bunnies and clothes. 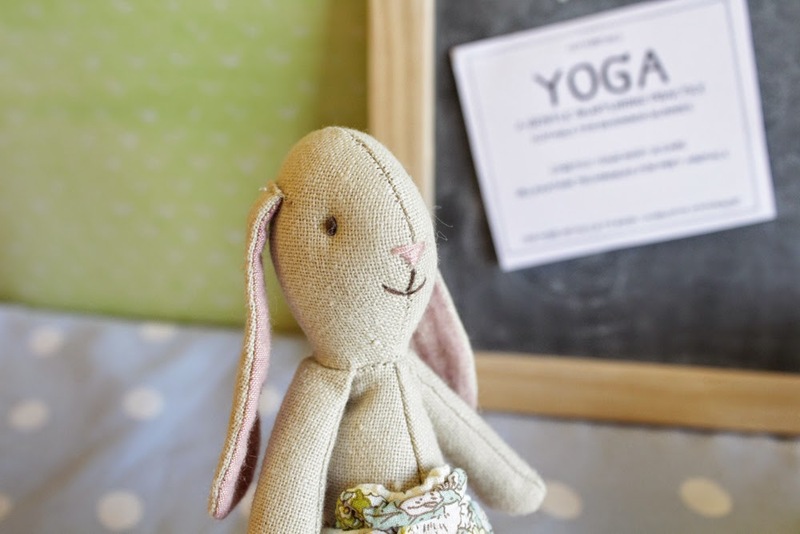 And if you live in Herefordshire and fancy trying the real thing, come along to The Inner Place in Ledbury - it's where I practice yoga and is a lovely tranquil space.